Hey, Ross here. Len Markidan (CMO of Podia, an online course and membership platform) contributed this amazing post. 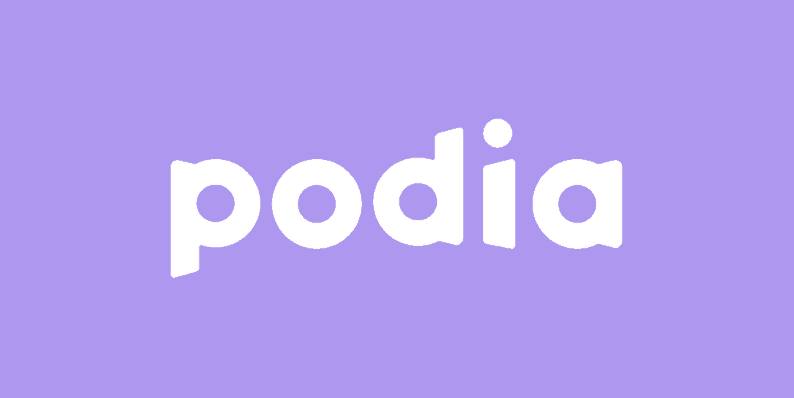 Be sure to check out Podia and let us know if this was helpful. Enjoy! Create, create, create! Build an audience! Then, the sponsors will come! At that point, you’ll enjoy a healthy income from the long line of partners eager to get in front of your audience. While this dream may come true for the biggest podcasts on the planet, the overwhelming majority of people who start a podcast never realize this dream. Typical podcast advertising rates fall between $15 and $30 per 1,000 listens. 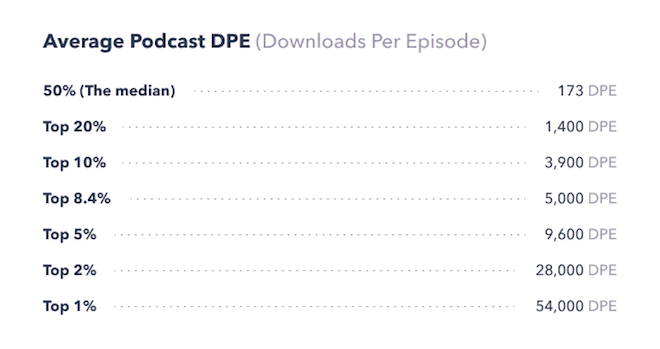 50% of all podcasts get 173 downloads per episode or fewer. So, if you’re part of that 50%, even if you could monetize your audience — although most sponsors won’t be interested — you’d be looking at $2.60 to $5.19 per episode. Not exactly the monetization we all dream of. But, let’s say you’re better than average. Let’s say you’re not in the bottom 50%, but that you’re in the top 10%, enjoying a healthy 3,900 downloads per episode. Your podcast’s “market rate” sponsorship value would be $58.50 to $117 per episode. Nothing to sneeze at, but given all of the work you put in to create each episode, it’s not exactly a rich reward. Sponsorships are a great way for the 1% to monetize, but for the rest of us, there’s a MUCH better, much easier and much more profitable approach. Consider what’s already driving revenue. Find a hole in the market. Your listeners, no matter how many of them there are, trust you. They look to you for advice and valuable insights about a topic that you’re an expert on. You’ve probably spent a long time building that expertise. Why not teach others what you know by creating and selling an online course to your listeners? While $220M was spent last year on podcast advertising, the online course market is worth $46 billion, making it a fantastic way for podcasters to claim their piece of a far bigger pie. And it’s not as hard to do as you might think. Are people paying you for something that’s related to your podcast? If so, start with that. If not, no problem. Just move on to the next step. As a podcaster, you already have an audience of potential course customers, which means that you can create something that’s tailored specifically for them! 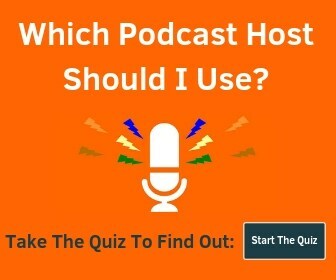 Survey your listeners, asking questions like “What’s your biggest challenge with [potential course topic]?” and “What would solving this problem allow you to achieve?”. Whatever your topic idea might be, there’s a good chance there are communities dedicated to it on places like Reddit. Seek out those communities, and run searches for terms that suggest that people are struggling with something. Simple searches like this can quickly generate potentially profitable course ideas. As an example, here are some search results — and good course ideas! 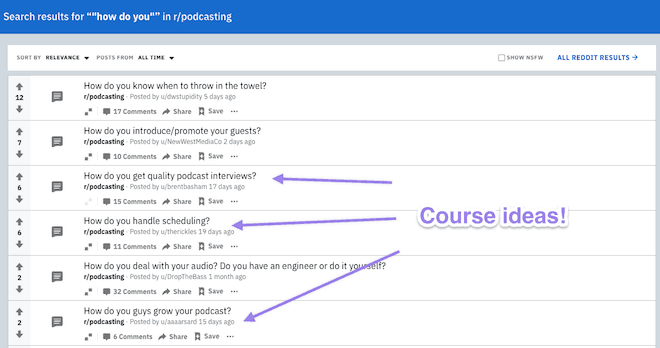 — from a query on the r/Podcasting subreddit. When students enroll in your course, they’re not just paying you for information about the topic; they’re paying you for a result. So when you’re ready to plan your course content, start with that result and work backward. What does a successful outcome look like to your student? To start building your course outline, put the answer to that question at the very top. 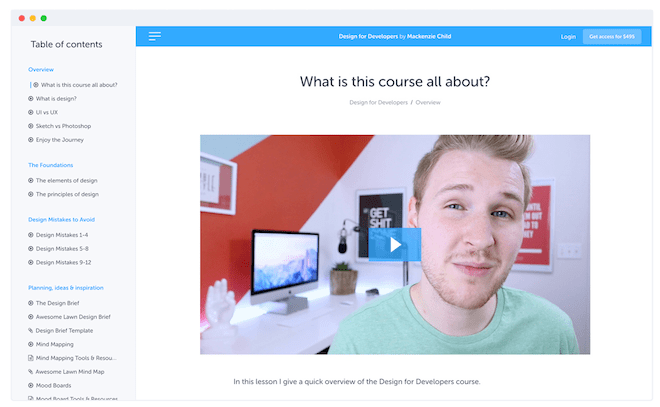 Your first course module will lay the foundation for why your student will be doing what they’re doing for the rest of the course. After that, break that successful outcome down into the various steps that they need to take to achieve it, and plan to build one course module for each major step. 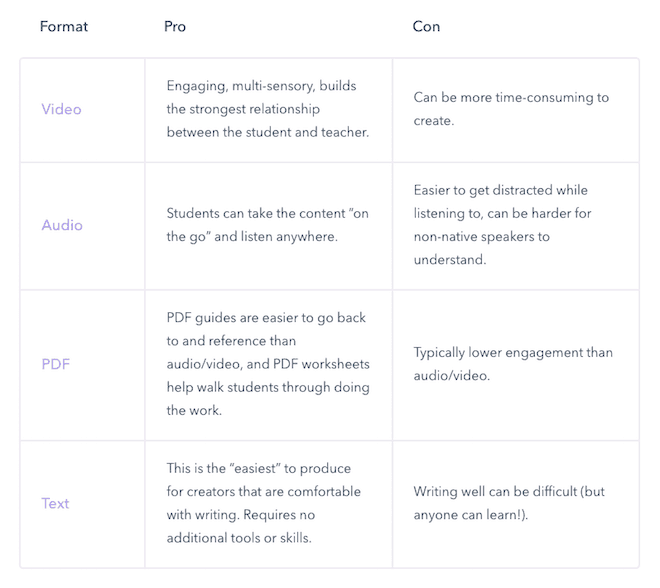 The four most common content formats you see in online courses are video, audio, digital downloads (PDFs, worksheets, etc. ), and text. The “gold standard” (read: most common) format is video, but the best approach to creating course content is to play to your strengths. There’s a good chance that for you, audio is a core strength — plus, you already know it’s a format that resonates with your audience — so you may decide to primarily focus on that. The two final to-do’s before sharing your course with your audience: pick a name and price for your online course. Effective course names are targeted, making it clear exactly who this course is for. If we’re building a course on knife skills in the kitchen, then “Knife Skills 101: Learn To Cut With Confidence” is a much better name than “Knife Skills” because it tells the prospect what level of skill the course is designed for. Effective course names are results-oriented, conveying the result that the student can expect. “Knife Skills 101: Learn To Cut With Confidence” is also a better name than “Knife Skills” because it tells the student what specific outcome they’ll get at the end. Effective course names are unambiguous and don’t use fluffy language or jargon that confuses the student and makes them think too hard about what the course is about. “Knife Skills 101: Learn To Cut With Confidence” leaves no question as to the course topic, whereas something like “Blade Mastery” might sound “cool” but isn’t clear. Course pricing can be an extremely complex topic, but it doesn’t need to be. I recommend using a simple model of goal-based pricing. What is it that you want to achieve with your course? Do you want to reach the highest number of people? 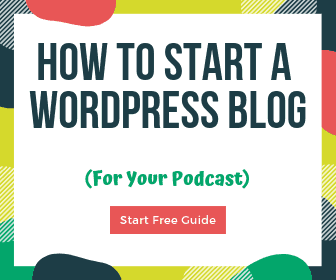 Give it away for free, and use it to generate leads for other work (or podcast listeners!). Do you want to make the highest total number of sales? Price your course low enough to make it a “no-brainer” for your prospects (under $30 in most markets). Do you want to earn the highest total revenue? Go high. It’s far easier to earn $1,000 selling a $1,000 course to one person than by selling a $20 course to 50 people. There are plenty of ways to monetize as a podcaster, but few of them are as scalable, profitable, and personally rewarding as teaching others what you know. There are people who listen to every episode of your podcast, so they already love learning from you! Creating an online course for them will let you better serve them, AND get paid for it without relying on putting sponsors between you and your audience. Just follow the steps above, and you’ll be able to build a sustainable income for your podcast. Len Markidan is the CMO of Podia, a platform for creators to create and sell online courses, membership sites and digital downloads. He’s created and sold six-figure online courses using strategies like the ones in this article. Get his free 12,000+ word guide to creating and selling profitable online courses, even if you’ve never done it before. 2 weeks free for an all-in-one course, membership & digital download platform.